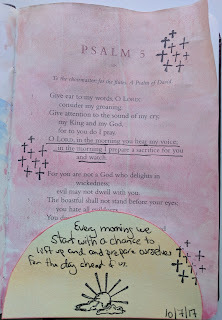 For Psalm 5 I pulled out verse 3 which talks about morning. I really need to work on my blending with watercolor skills, but it's supposed to be a sunrise. I used 3 shades of pink, but it's hard to tell in person or in the photos. I try to work with any "mistakes" in my Bible as we aren't perfect, God doesn't expect us to be, and he accepts us how we are. The sun is from the Lawn Fawn Watercolor wishes 6x6 pad. I used some stamps from the Rise Up kit. 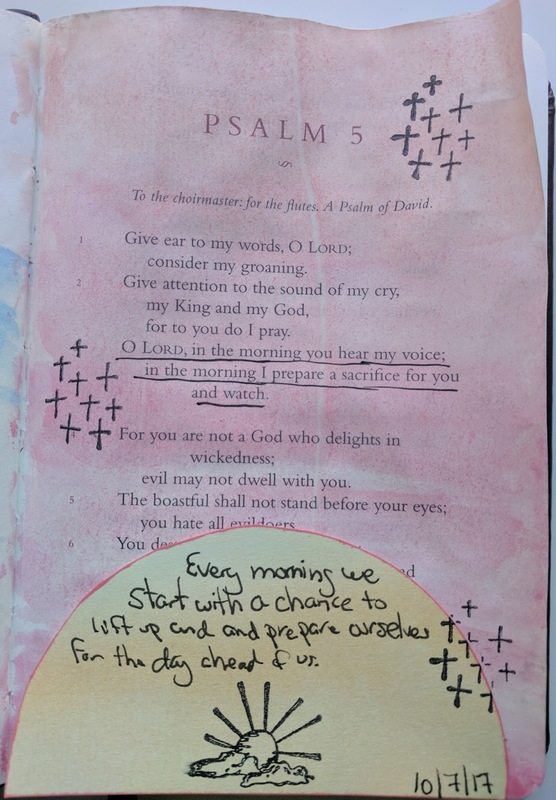 And wrote a small message about what I felt from the verse.